Why is XCOM's engineering department led by Dr Shen? Dr Shen doesn't seem to care about the new and exciting opportunities this alien technology gives us, instead giving XCOM Command the minimum possible options for progress. Instead he puts all his effort into the useless SHIV project, devising many upgrades and options for these mobile coffee tables. The SHIV is the Microsoft Bing of XCOM; a vanity project that should have been shut down on day one and replaced with items that have more tactical use. Dr Shen's colleague is Dr Vahlen, a psychotic who is obsessed with capturing aliens and torturing them to death. She constantly harasses XCOM soldiers during missions, begging them not to hurt the aliens. Both of these 'professionals' are often a hindrance to XCOM operations. Are these really the best minds the world governments could come up with? XCOM as a whole is woefully underfinanced and under resourced. The team only has one Skyranger, meaning they cannot deploy to more than one attack site at a time. Funding from countries is extremely low - The United States, for example, only gives XCOM $180 a month. At moments where the difference between being able to buy a rifle or not is $10, are operatives expected to delve into their own pockets to outfit themselves? The 'elite' soldiers given to XCOM are likewise terrible. They are unable to hit even the most guaranteed shot, and more often than not panic, whipping out their pistols and shooting their comrades with pinpoint accuracy. Why can they not hit the aliens, but can kill their peers with ease? 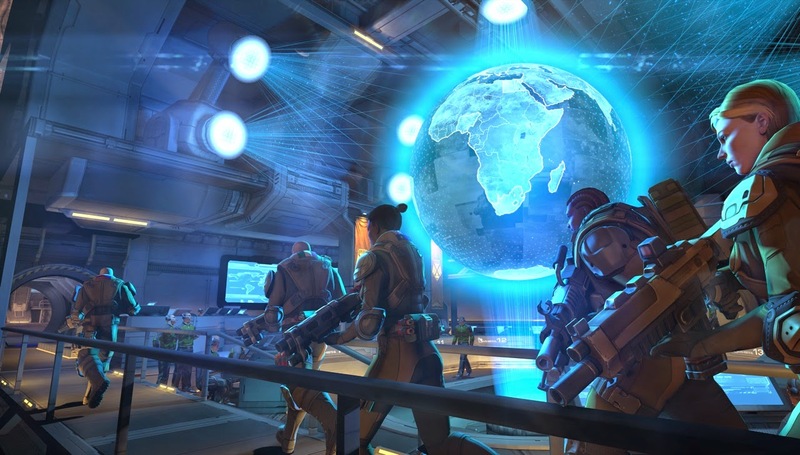 Could these soldiers be a mixture of useless rookies and sleeper agents designed to bring down XCOM? The question also arises: Why would a nation pull out of the XCOM project if the alien invasion becomes too much? Surely getting public losses from alien attacks would increase sympathy and the willingness to more fully support XCOM? The truth becomes plain: XCOM is simply a political tool designed by the governments of the world to fail. They welcome the alien invasion, and are perhaps even in league with the aliens. Of course, it would be political suicide to publically welcome an alien invasion so XCOM was set up to fight - and fail. In this way, the eventual surrender of Earth would not be seen as a fait accompli.